Gone are the days when kids could make a little money and learn about entrepreneurship by opening up a lemonade stand or having a paper route, because in today's digital age and Blockchain era, even 11 year old's are becoming CEO's of their own cryptocurrency companies. Video gaming has become a worldwide phenomenon, and in some cases World Championship events are bringing in more viewers than even the NBA Finals, and are second only to the Superbowl. Thus finding a way to monopolize on this industry is a natural fit for the Blockchain and cryptocurrencies since many games require a medium of exchange to play and progress. And this is exactly what 11 year old George Weiksner is doing through the creation of a cryptocurrency to mediate gaming token compatibility between multiple gaming platforms. Call him the crypto kid. George Weiksner, an 11-year-old, just launched his own ICO, in between doing his homework, regular kid stuff and bedtime. An ICO, or initial coin offering, is a method of fundraising that seeks to garner capital by selling tokens, or virtual coins, in exchange for a particular cryptocurrency. Weiksner, who lives in Old Greenwich, Conn., and attends Greenwich Country Day School—as MarketWatch has previously written—has the makings of the next superstar in the world of digital currencies, which has drawn mainstream attention in the past few years. For his part, Weiksner sees the utility of cryptocoins that also has garnered scrutiny from regulators worldwide and scorn from traditional Wall Street titans like J.P. Morgan Chase & Co. CEO Jamie Dimon. 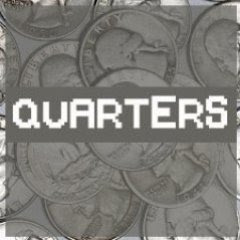 Pocketful of Quarters hopes to solve an issue many gamers face where unused and unwanted coins can’t be transferred to other gaming platforms to play different games. Weiksner aims to design a platform that unlocks coins that are “stuck” in games that gamers no longer want to play. “We’re trying to make it so those coins can be used in, now, another game,” explained Weiksner. Pocketful of Quarters is linking up with multiple gaming providers so the tokens they issue in the ICO can be used across many platforms, giving gamers access to multiple gaming outlets with a single virtual currency.